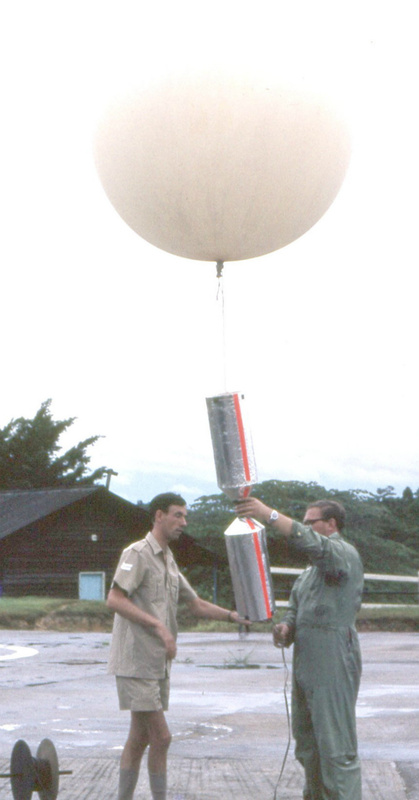 Launch of the experimental 'Dustbin' antenna. Johore. Alan Pinder.